The government’s Secret Police Bill C-51 is reckless, dangerous, and ineffective. The bill will recklessly turn CSIS into a secret police force, dangerously undermine our democratic rights, while subjecting law-abiding Canadians to ineffective dragnet surveillance and information disclosure. The government is trying to ram it through Parliament right now – use this tool to send a message to your MPs right now. This entry was posted in Past actions on 30 March 2015 by ICLMG CSILC. Prime Minister Harper is trying to pass a new “secret police” law, Bill C-51, that would give reckless and unnecessary powers to spy agencies with little oversight or accountability. Let’s defend our democracy – tell party leaders and MPs to reject fear, stop this bill and start over with real oversight. — Include strong safeguards for Canadians, including a dedicated, high-level Parliamentary committee to oversee our spy agencies. — Strip out the attacks on civil liberties, including the sweeping expansion of spy powers, criminalization of speech, and preventative arrest for those who have committed no crime. This entry was posted in Past actions on 3 March 2015 by ICLMG CSILC. 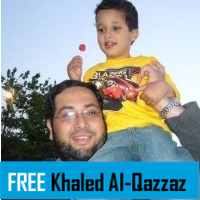 Khaled Al-Qazzaz has been detained by the Egyptian military without charge since July 3, 2013 and is currently being held in solitary confinement in Tora Prison in Cairo. He is the longest held detainee since the July 2013 Egyptian military coup. Amnesty International and Human Rights Watch characterize Khaled’s detainment as “enforced disappearance” under international law, recognizing it as a breach of human rights. Khaled is being held under inhumane conditions and his health is deteriorating rapidly. More information here. Act now to demand its immediate release! This entry was posted in Past actions on 15 July 2014 by ICLMG CSILC.